Rob Ellis Exits WPEN-FM, Philadelphia. 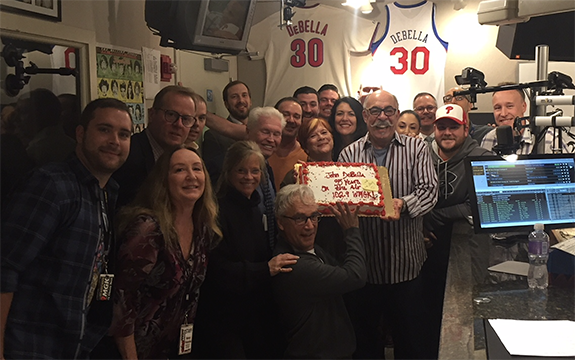 Philadelphia sports media personality Rob Ellis announced at the end of Friday’s program that he’s leaving the late-morning show he’s been co-hosting with Harry Mayes at Beasley Media Group’s WPEN-FM. Ellis’ contract with the station is over and he told listeners he’s leaving WPEN-FM on good terms. Ellis also serves with Comcast SportsNet Philadelphia. Meanwhile, Mayes was hosting the 10:00 am to 12:00 noon program solo today (7/17). J.T. The Brick’s Late Morning KGMZ, San Francisco Show Ends. Nationally syndicated sports talk host J.T. The Brick has been hosting the 10:00 am to 12:00 noon show on Entercom’s KGMZ-FM, San Francisco “95.7 The Game” since last September. Now, he leaves that gig, messaging, “Thanks for an EPIC run at @957thegame it was awesome and I loved every minute! More news to come and big things ahead.” He continues the evening show he co-hosts with Tomm Looney on Fox Sports Radio. ESPN Radio Sets November 27 for Launch of Golic & Wingo. 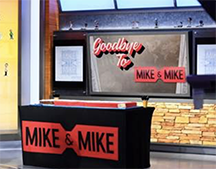 After the 18-year Mike & Mike program is dismantled on November 17, longtime ESPN personality Trey Wingo will co-host the morning drive show with Mike Golic beginning November 27. But, ESPN is giving listeners a taste of the show when Golic and Wingo co-host mornings tomorrow through Thursday (7/18-20). Mike Greenberg will be guest hosting WEPN, New York’s afternoon drive show for Michael Kay on those three days. Mike Golic Jr. will be part of the program joining Golic and Wingo for the 6:00 am hour after wrapping his “ESPN Radio’s First & Last” program from 4:00 am to 6:00 am. When the Golic & Wingo show officially launches on November 27, it will initially be simulcast on ESPN2 before moving to its simulcast home on ESPNU in early January. Kentucky Broadcasters Association-Western Kentucky University Radio Talent Institute Begins Today. Today (7/17), the fifth annual Kentucky Broadcasters Association-Western Kentucky University Radio Talent Institute begins. The WKU campus is welcoming students from Valparaiso University and Middle Tennessee State University as well as WKU to the institute. The “Ben Davis and Kelly K” morning show from Alpha Media’s CHR WDJX, Louisville broadcast live from the Radio Talent Institute with the students as the live studio audience. During the 10-day intensive, students will learn from radio pros from all areas of the business, including on-air, music radio, sports and news, production, promotions, digital/social media, and engineering. All students become certified by the RAB as Radio Marketing Professionals. The Kentucky Broadcasters Association underwrites the KBA WKU Radio Talent Institute. The National Radio Talent System is a system of Radio Talent Institutes on college campuses across America. TALKERS 2017 Convention Videos Continue Posting Today (7/17) with Thom Hartmann, Bill Hess, Steve Jones and Greg Moceri. The entire agenda of the recent Talkers 2017: A New Era national talk media convention has been video recorded and its sessions are being posted to Talkers.com – one event per day. Already posted are the “Welcoming Remarks” by WMAL, Washington, DC afternoon drive host Larry O’ Connor (including an introduction by TalkersRadio GM David Bernstein); the special presentation “You HAVE Options” by consultant Holland Cooke (including an introduction by Yappy Days author Bernadette Duncan); the “Fireside Chat” between TALKERS publisher Michael Harrison and Premiere Networks/Fox News Channel host Sean Hannity (with introduction by Westwood One host Jim Bohannon); the “Fireside Chat” between TALKERS managing editor Mike Kinosian and WFAN, New York sports talk show host Mike Francesa (with introduction by Sabo Media CEO Walter Sabo); the special presentation “The Trump Effect: Latest Research of Interest to News/Talk Radio” by Salem Radio Network SVP Phil Boyce (with introduction by Pioneer Valley Radio GM/host Brad Shepard); the special presentation “Podcasting and Local Radio” by PodcastOne excutive chairman Norm Pattiz (with introduction by Hubbard Radio SVP/programming Greg Strassell); and the first, second and third in a series of three consecutive “one-on-one” sessions discussing the topic “Maximizing Talk Radio’s Multi-Platform Potential for Reach and Revenue” featuring conversations between WABC, New York, PD Craig Schwalb and KGO, San Francisco host Ethan Bearman, Bold Gold Media Group president/CEO Vince Benedetto and DGital Media managing partner Ron Hartenbaum, and nationally syndicated host Dr. Asa Andrew and TalkersRadio GM David Bernstein. All three sessions are facilitated by Sirius/XM Satellite Radio host Karen Hunter. Yesterday (7/12) TALKERS posted a “one-on-one” dialogue titled “Radio That Makes a Difference” featuring the SiriusXM Satellite Radio husband/wife team of host Joe Madison and executive producer Sharon Madison (introduced by Sirius/XM Satellite Radio VP/GM talk programming Dave Gorab). Yesterday (7/13), a “Fireside Chat” was posted featuring former CBS Radio president/CEO and Broadcasters Foundation of America chairman Dan Mason being interviewed by WPGG, Atlantic City morning host Harry Hurley (with introduction by BOB-FM, London morning host Graham Mack). On Friday (7/14) TALKERS posted a “Fireside Chat” featuring Emmis Communications CEO/chairman Jeff Smulyan being interviewed by TALKERS VP/executive editor Kevin Casey (with an introduction by Bentley University professor/TALKERS legal editor Steve Weisman). 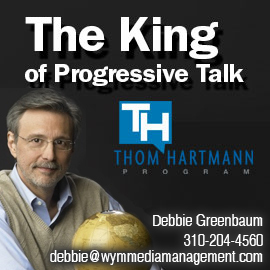 Today 7/17), we kick off the new week with the first in a series of four “one-on-one” dialogues titled “The Challenges of Doing Talk Radio in 2017.” It features a conversation between WYD Media syndicated host Thom Hartmann and Cumulus Media corporate PD/WMAL, Washington PD Bill Hess, introduced by Moceri Media president Greg Moceri and facilitated by ABC News Radio VP/GM Steve Jones. Within the following days and weeks, every session will be posted and will remain on Talkers.com for the rest of the year. 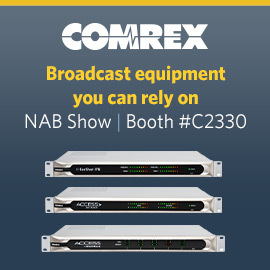 The Talkers 2017: A New Era video page is sponsored by Backbone Networks, Broadcasters General Store and Comrex Corp. To view the video page of Talkers 2017: A New Era, please click here. GOP Health Care Bill, Trump Jr-Russia Issue, Trump Approval Poll, Trump’s France Visit, Martin Landau Dies, George Romero Passes, Wimbledon Finals, and MLB Action Among Top News/Talk Stories Over the Weekend. The status of the GOP health care bill; the controversy over Donald Trump Jr’s meeting with Kremlin-connected lawyer Natalia Veselnitskaya; the recent Washington Post/ABC News poll that shows President Trump’s approval rating at 36%; Trump’s visit with French President Emmanuel Macron; actor Martin Landau dies at 89; director George Romero passes at 77; Roger Federer and Garbine Muguruza win at Wimbledon; and Major League Baseball action were some of the most-talked-about stories on news/talk radio over the weekend, according to ongoing research from TALKERS magazine. Pattie Moreno Sues Entercom for Dismissal from WMXJ, Miami. Programmer Pattie Moreno (Guadamuz) was PD at Entercom’s classic hits WMXJ, Miami “102.7 The Beach” from November 2, 2015 to April 26, 2016 at which time she was let go from her position. She is claiming – in a suit filed in United States District Court in Southern Florida – that general manager Doug Abernathy and the company violated the American Disabilities Act and the Rehabilitation Act of 1973 when she was fired for having anxiety/depression disorder and for being female. Moreno alleges that Abernathy told her she embarrassed the company after requiring medical attention at a station event. She also claims Abernathy belittled her by making comments about her gender and being a mother, telling her she wasn’t suited for the job. She’s seeking employment benefits, front pay, unpaid wages, attorneys’ fees, and damages. Shotgun Tom Kelly Visits Kid Kelly. 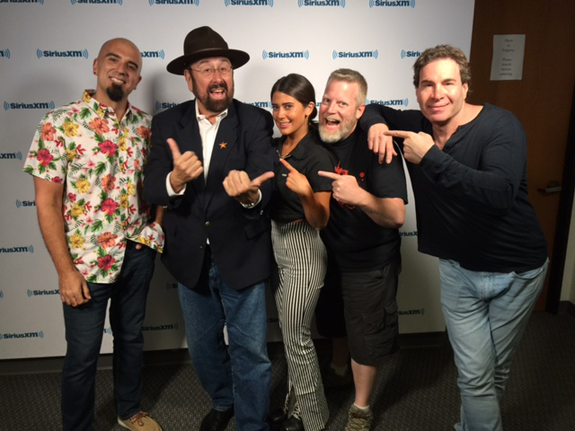 Legendary Southern California disc jockey Shotgun Tom Kelly (second from left) visits the SoCal studios of SiriusXM and the staff of the Kid Kelly (far right) show. Round Three of June PPM Data Released. The third of four rounds of June 2017 PPM ratings information from Nielsen Audio has been released for 12 markets including: Portland, Charlotte, San Antonio, Pittsburgh, Sacramento, Salt Lake City, Las Vegas, Cincinnati, Orlando, Cleveland, Kansas City, and Columbus. Nielsen’s June 2017 survey period covered May 25 – June 21. 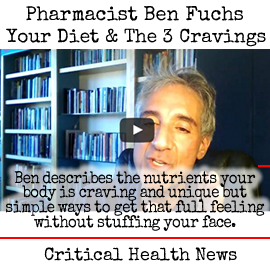 View all the 6+ numbers from subscribing stations here. Meanwhile, managing editor Mike Kinosian provides his “Takeaways” from these 12-PPM markets. 1) Portland – The wild ride continues for iHeartMedia’s KFBW, which was +1.0 in April; -.6 in May; and now +1.1 in June (3.5 – 4.5 – 3.9 – 5.0, 6+). In addition to returning to the top ten (#11 to #6), “105.9 The Brew – Portland’s Rock Station” has its highest 6+-share since September 2015’s 5.5. Steady at #4, Entercom classic rocker KGON is without a loss for the fifth straight time for a collective +2.4, (3.2 – 4.0 – 5.1 – 5.1 – 5.3 – 5.6, 6+). When KGON registered a +.8 in February, it brought to an end eight straight sweeps without a gain that resulted in a combined -1.7 dating back to June 2016 (4.9 – 4.3 – 3.8 – 3.8 – 3.8 – 3.8 – 3.5 – 3.3 – 3.2, 6+). Progressing by six-tenths each are Oregon Public Broadcasting’s KOPB (7.4 – 8.0, steady at #2, 6+); Alpha Media triple A KINK “Uniquely Portland” (3.8, #15 to #11, 6+); and Salem Media Group contemporary Christian KFIS “104.1 The Fish” (1.9 – 2.5, #18 to #17, 6+). Having sputtered by eight-tenths in May, KOPB was +.9 in March. It declined by one full-share in February, completely surrendering January’s +1.0, after a -.7 in “Holiday” 2016. Entering the June 2017 sweep, KINK was without an increase since January and was a collective -.7 in that stretch (3.9 – 3.7 – 3.7 – 3.6 – 3.2, 6+). Up or flat January through April for a combined +.7 (1.9 – 2.3 – 2.3 – 2.6, 6+), KFIS returned the entire seven-tenths in May. Just as they did in May, Entercom-owned KWJJ “99.5 The Wolf – Great Country for the Great Northwest” (4.9, +.3, 6+) and Alpha Media’s similarly-formatted KUPL “98.7 The Bull – #1 For New Country” finish back-to-back at seventh and eighth, respectively. Prior to June’s +.3, “The Wolf” was a combined -1.8 in March, April, and May (6.4 – 5.5 – 4.8 – 4.6, 6+), while “The Bull” is down in consecutive sweeps for a -1.1 (5.5 – 4.5 – 4.4, 6+). With its strongest 6+-share since the 15.3 it posted in “Holiday” 2016, iHeartMedia adult contemporary KKCW “K-103” (8.7 – 9.1, +.4, 6+) is #1 for the 37th time in the last 39 ratings periods. As the result of four straight up or flat trends (4.0 – 4.0 – 4.5 – 4.9 – 5.0, 6+), Entercom adult hits KYCH gained one full-share, but “97.1 Charlie – We Play Everything” surrenders 70% of that increase (4.3, -.7, 6+) and drops from sixth to ninth. 3) San Antonio – More wild ups/downs for iHeartMedia adult contemporary KQXT, which lost one full-share (-1.0) in February; was a collective +1.5 in March and April (5.2 – 4.2 – 4.7 – 5.6, 6+); regressed by -1.0 in May (5.6 – 4.6, 6+); and now regains May’s loss in its entirety (5.6, +1.0, 6+), zooming from seventh back to second. With an 11.8 (6+) in the “Holiday” 2016 report, “Q-101.9 – San Antonio’s Best Variety” finished at #1. Improving by seven-tenths each are Cox Media Group’s KISS “Rocks San Antonio” (5.6, fourth to second, 6+) and hot AC sibling KSMG “Magic 105.3 – Today’s Best Music” (4.4, #14 to #8, 6+). Immediately prior to April, KISS had been up or flat the previous three sweeps for a +.7 (5.4 – 5.4 – 6.0 – 6.1, 6+); it dropped six-tenths in both April and May (6.1 – 5.5 – 4.9, 6+). The +.7 halts at three a successive string by “Magic” that resulted in a loss of nine-tenths (4.6 – 4.3 – 4.1 – 3.7, 6+). Flat at 7.0 (6+), co-owned classic hits-oldies KONO-FM “101.1 San Antonio’s Greatest Hits” occupies the top spot for the fifth successive time; KONO-FM departed the lead position in October after nine straight sweeps there. Recent (6+) fluctuations for KONO-FM are October 2016’s -1.0; November’s +.9; December’s -1.1; “Holiday” 2016’s -1.3; January’s +1.1; April’s +.8; and May’s -.6. This marks the fifth time in a row that WOAI is without an increase for a -1.4 (4.7 – 4.7 – 4.5 – 4.5 – 4.4 – 3.3, 6+), as the iHeartMedia news/talk outlet spirals from #9 to #14. The last time WOAI fell below a four-share (6+) was September 2014 (3.7). Surrendering the six-tenths it gained in May (3.2 – 3.8 – 3.2, 6+), Alpha Media regional Mexican KSAH-FM falls from #12 to #16; “Las Estacion de la Raza” has now registered a 3.2 (6+) in four of the last six sweeps. Despite losing three-tenths to 3.4 (6+), Educational Media Foundation contemporary Christian KZLV “Positive & Encouraging K-Love” advances from #14 to #13. Its successive string of positive trends that netted one full-share, however, ends at three (2.7 – 2.9 – 3.0 – 3.7, 6+). Owing to three straight increases, including May’s +1.3, KSTX nearly doubled its 6+-share (2.0 – 2.1 – 2.5 – 3.8, 6+). The Texas Public Radio news/talk outlet returns one-half share in June though and slips from #12 to #14 (3.3 – 3.8, 6+). It had been almost two years since KSTX reached the three-share level (August 2015, 3.0, 6+). Regressing by one-half share as well is Univision Radio regional Mexican KROM (5.2 – 4.7, third to seventh, 6+). By gaining two-tenths in May, KROM halted at three its consecutive streak of downward trends that accounted for a -2.4 (7.4 – 6.4 – 5.4 – 5.0, 6+); it was a combined +1.2 in “Holiday” 2016 and January (6.2 – 7.4, 6+). 4) Pittsburgh – Down or flat in each of the last four ratings periods for a -.4 (2.3 – 2.3 – 2.2 – 2.0 – 1.9, 6+), WESA bounces back in grand fashion with a gain of one full-share to 2.9. 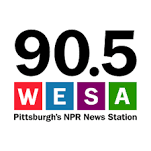 Although “90.5 Pittsburgh’s NPR News Station” remains at #13, this is its strongest 6+-performance since September 2014 (2.9 as well). Gaining six-tenths each are Steel City Media adult hits WRRK “Bob” (7.3, unchanged at #4, 6+) and iHeartMedia’s WPGB “Big 104.7 Pittsburgh’s #1 for New Country” (2.9 – 3.6, steady at #11, 6+). Prior to June’s +.6, “Bob” had faltered by -1.8 in four consecutive declines (8.5 – 8.3 – 8.1 – 7.5 – 6.7, 6+). As for “Big,” it was -.9 in May and – by adding two-tenths in April – it halted three straight declines that accounted for a -1.2 (4.8 – 4.5 – 4.0 – 3.6, 6+). After posting three consecutive increases netting a +1.3 (9.1 – 9.9 – 10.3 – 10.4, 6+), classic hits-oldies sibling WWSW “94.5 – 3WS” forfeits eight-tenths to 9.6 (6+), but is #1 for the third straight month. In fact, it is tied for #1 with rock cluster-mate WDVE, which regains the three-tenths it lost in May (9.6 – 9.3 – 9.6, 6+) to return to the top from the runner-up slot. Immediately before picking up eight-tenths in March, “3WS” was -4.6 since “Holiday” 2016 (13.7 – 9.3 – 9.1, 6+). Flat at #7, co-owned alternative WXDX “The X at 105.9” is +1.8 via three straight months without a decrease. Trending 6.5 – 6.4 – 6.5 – 6.3 (6+) since February, Renda Broadcasting adult contemporary WSHH “Wish 99.7” sputters by one full-share to 5.3 (6+) and drops from fifth to sixth. It is the lowest 6+-share for “Wish” since it returned in print as a Nielsen Audio subscriber in April 2016. Co-owned WHJB “Classic Hits 107.1” is down or flat for the fourth consecutive time and is -1.0 in that stretch (2.1 – 2.1 – 1.5 – 1.1 – 1.1, 6+), but actually improves from #16 to a tie at #15. 5) Sacramento – Down or flat for the past seven ratings periods for a collective -2.6 (5.8 – 5.1 – 4.8 – 4.6 – 4.1 – 4.1 – 3.4 – 3.2, 6+), Entercom’s KRXQ “98 Rock” roars back by making up more than half the deficit (4.6, +1.4, 6+) and re-enters the top ten (#13 to #6). Up four-tenths to 2.8 (#15, 6+), iHeartMedia news/talk KSTE snaps at four its successive streak of downward trends that yielded a -1.5 since January (3.9 – 3.6 – 3.0 – 2.6 – 2.4, 6+). A combined -.6 in back-to-back monthlies (9.2 – 9.0 – 8.6, 6+, February – March – April), CBS Radio adult contemporary KYMX recaptured all of it in May only to drop one-half share in June (9.2 – 8.7, 6+). Even so, “Mix 96” is #1 for the fifth successive month. Ranked third for five straight sweeps before reaching #1 in “Holiday” 2016, KYMX rebounded from January’s -4.8 with a full-share February increase (13.0 – 8.2 – 9.2, 6+). After being a combined +2.4 in November and December, “Mix” was +5.2 in “Holiday” 2016. A loss of seven-tenths (4.3 – 3.6, sixth to ninth, 6+) takes Capital Public Radio news/talk KXJZ to its lowest 6+-showing since “Holiday” 2015’s 3.3. A recap of the market’s three country FMs finds KNCI “New Country 105.1” up two-tenths (5.6 – 5.8, 6+) and steady in fourth-place. As a result of a -.1 in May to 3.3 (6+), Entravision-owned KNTY “101.9 – The Wolf” had its streak of successive increases which generated a +1.5 (1.9 – 2.1 – 2.3 – 2.4 – 2.7 – 3.4, 6+) end at five. “The Wolf” now regresses by another half-share (3.4 – 3.3 – 2.8, 6+) to drift from #11 to #15. Prior to April, the last time Sacramento’s “Wolf” reached the three-share level (6+) was November 2014 (3.0, 6+). Directly ahead of it at #14 but off two-tenths to 2.9 (6+) is iHeartMedia’s similarly-programmed KBEB “The Bull,” which concludes three straight improvements that netted eight-tenths (2.3 – 2.7 – 2.9 – 3.1, 6+). Prior to May, “The Bull” had been within 2.1 – 2.9 range (6+) the previous seven ratings periods. Continuing an up/down pattern that began last November, Entravision regional Mexican KRCX “La Tricolor 99.9” (#17 to #18) drops one-half share (1.6 – 1.7 – 1.5 – 1.9 – 1.7 – 2.0 – 1.9 – 2.2 – 1.7, 6+). 6) Salt Lake City – At this time last month, Broadway Media CHR KUDD relinquished 60% of its combined March and April +1.5 (3.5 – 4.0 – 5.0 – 4.1, -.9, 6+), but “Mix 105.1 – All the Hits” more than makes up for it in June with a whopping +1.6 (4.1 – 5.7, 6+) to rocket from tenth to fifth. Moreover, June’s 5.7 is the highest 6+-stat in its PPM-history. Prior to March, “Mix” was trending 3.5 – 3.9 – 3.5 (6+). An April loss of eight-tenths by iHeartMedia’s similarly-formatted KZHT pulled the plug on three straight progressive trends that yielded a +1.3 (4.4 – 5.4 – 5.7 – 5.7, 6+). The roller coaster ride continues as “97.1 – Salt Lake City’s #1 Hit Music Station” regained 75% of April’s decrease (4.9 – 5.5, +.6, 6+), only to return one-half share in June (5.0, 6+), skidding from a three-way tie at #3 to #7. As independent country KSOP-FM “Z-104 Utah’s #1 Country” posts its second consecutive gain of eight-tenths to jump from sixth to second, Cumulus Media’s similarly-formatted KUBL “K-Bull 93” falters by that same margin (to 4.7, -.8, 6+) and stumbles from third to eighth. Not only is it the fourth straight improvement for “Z-104” for a combined +2.1 (4.0 – 4.3 – 4.5 – 5.3 – 6.1, 6+), like KUDD (above), it represents the strongest 6+-stat for KSOP-FM since PPM became Salt Lake City’s ratings currency. When “K-Bull” dropped four-tenths in May, it curtailed four straight upward moves that netted a +2.6 (3.3 – 4.3 – 4.4 – 5.4 – 5.9, 6+). In advance of January’s +1.0, “K-Bull” sputtered for five consecutive months and was a combined -2.2 since August (5.5 – 5.2 – 4.8 – 4.6 – 3.8 – 3.3, 6+). The market’s other FM country outlet – Broadway Media’s KEGA “101.5 The Eagle – Utah’s Best Country” – drops four-tenths to 1.6 (6+), thus ending four straight sweeps without a loss that netted a +.7 (1.3 – 1.6 – 1.6 – 1.8 – 2.0, 6+), yet actually enters the top twenty (#21 to a three-way tie at #20). In addition to cracking the top ten (#14 to #10), Cumulus-owned KBER “101 Utah’s Rock Station” is a cumulative +1.4 via its third straight increase (2.4 – 2.8 – 3.0 – 3.8, 6+). Matching the 5.5 (6+) it posted in December and advancing from seventh to sixth, Bonneville-owned KRSP “103.5 The Arrow – Utah’s Classic Rock” is up nine-tenths as the result of three successive monthlies without a loss (4.6 – 4.9 – 4.9 – 5.5, 6+). Recovering the four-tenths it lost in May (6.9 – 6.5 – 6.9, 6+), co-owned adult contemporary KSFI “FM 100.3 – Better Music Better Work Day” repeats at #1. Following three straight sweeps on top, “FM 100.3” shifted to #2, having dropped 12.3 shares in January (20.6 – 8.3, 6+). Until that massive January spiral, “FM 100.3” didn’t have a decrease since April 2016 (5.3 – 5.7 – 6.2 – 6.3 – 6.7 – 7.0 – 7.3 – 7.3 – 11.4 – 20.6, 6+), nearly quadrupling its 6+-stat since then with a staggering +15.3. By dropping nine-tenths (4.3 -3.4, 6+), iHeartMedia news/talk KNRS drifts from #8 to #13. After being either up or flat the past five ratings periods, more than doubling its 6+-share in that timeframe (1.1 – 1.2 – 1.5 – 1.7 – 1.7 – 2.3, 6+), Broadway Media adult hits KYMV “Rewind 100.7” surrenders seven-tenths to 1.6 (#18 to #20, 6+). In May, “Rewind” reached a two-share for the first time since last October’s 2.0. Rhythmic CHR sibling KUUU “U-92” is within 2.0 – 2.8 range (6+) for the 13th straight time (2.4 – 2.8, +.4, #16 to #15, 6+). 7) Las Vegas – The two-tenths of a share lead iHeartMedia adult contemporary KSNE “Sunny 106.5” held in May over Beasley Media Group classic hits-oldies KKLZ widens by seven times as much in June, as “Sunny” – on top for the eighth consecutive monthly – dials up a +1.2 to 7.4, while KKLZ (flat at 6.1, 6+) remains at #2. The four most recent “Sunny” fluctuations are +1.8 in March; -1.1 in April; -1.2 in May; and now +1.4 in June (6.8 – 8.6 – 7.5 – 6.3 – 7.4, 6+). Five straight up or flat trends generated a +8.3 for “Sunny” to 7.5 (6.4 – 7.0 – 7.0 – 8.1 – 14.0, 6+) before January’s -.7.3 to 6.7 (6+). Following three successive downward trends (8.1 – 7.4 – 6.0 – 5.7, 6+), KSNE was +.7 in September and +.6 in October, climbing to first – where it had been for 22 successive ratings periods. In addition to recapturing the six-tenths it squandered in May, Beasley Media Group hot AC KVGS “Star 107.9” (2.6, #20 to #15, 6+) applies the brakes to three straight decreases that accounted for a loss of one full-share (3.0 – 2.8 – 2.6 – 2.0, 6+). In a somewhat similar scenario, a six-tenths increase by Faith Communications contemporary Christian KSOS “SOS Radio – Radio for Life” (#12 to #9) curtails three straight monthlies without an increase (3.7 – 3.6 – 3.6 – 3.4, 6+). Having notched three straight gains for a collective +1.8 (3.1 – 3.4 – 3.5 – 4.9, 6+), Beasley Media Group-owned KCYE “The Coyote – We Are Country” is off by two-tenths to 4.7 (6+), segueing from fifth to sixth. Meanwhile, iHeartMedia’s KWNR “95.5 Las Vegas’ New Country Leader” rebounds from May’s -.6 with a +.2 (5.2 – 4.6 – 4.8, seventh to fifth, 6+) and leapfrogs “The Coyote.” Trending 1.6 – 1.6 – 1.8 – 1.7 – 1.6 (6+) since January 2017, University of Nevada – Las Vegas’ KUNV “91.5 The Source” posts a one-half share increase to 2.1 (#18). Following a consecutive quartet of progressive trends netting a +1.6 (3.1 – 3.7 – 3.9 – 3.9 – 4.7, 6+), Lotus Communications’ KOMP “92.3 The Rock Station” is a combined -1.3 in May and June (4.7 – 4.1 – 3.4, 6+) and exits the top ten (#9 to #12). Down or flat in four straight sweeps for a -.7 (4.5 – 4.2 – 4.2 – 4.2 – 3.8, 6+), Univision Radio’s KISF registered a +1.2 in January, but followed with three straight losses: -1.6 in February; -.6 in March; and -.5 in April (5.0 – 3.4 – 2.8 – 2.3, 6+). While it added two-tenths in May, the regional Mexican outlet regresses by six-tenths in June (2.5 – 1.9, 6+) to slip from #17 to #20. Catching it there with a gain of three-tenths (1.9, #20, 6+) is Entravision’s similarly-programmed KQRT “La Tricolor 105.1,” which had been down or flat in each of the last three sweeps (1.9 – 1.7 – 1.7 – 1.6, 6+). 8) Cincinnati – The market’s three country FMs elevate the format’s 6+-share from 11.1 (May 2017) to 12.7 (June 2017). Specifically, owing to a +.7 (7.4 – 8.1, steady at #3, 6+), Hubbard’s WUBE “B-105, Get Your Country On” reaches the eight-share level (6+) for the first time since last October’s 8.5. Co-owned/similarly-formatted WYGY “97.3 The Wolf” duplicates May’s one-half share increase (1.4 – 1.9, +.5, #21, 6+) to climb from #17 to #16; The May increase by “The Wolf” curtailed three straight downward trends that produced a loss of one full-share (1.9 – 1.6 – 1.5 -.9, 6+). Making it a clean sweep for the format in terms of month-to-month (6+) increases, Cumulus Media’s WNNF “94.1 Nash FM” (unchanged at #15) is +.4 (2.3 – 2.7, 6+) for its best 6+-showing since last September (2.7 as well). The tie that existed in May for the top spot is broken as “Nash FM” classic hits-oldies cluster-mate WGRR, which has been #1 each month since January, picks up three-tenths (9.0 – 9.3, +.3, 6+) and remains in the penthouse. Meanwhile, iHeartMedia news/talk WLW “The Big One” drops one-tenth (9.0 – 8.9, 6+) and moves to #2. Following a -.7 in March (9.2 – 8.5 – 9.5, 6+), WGRR posted a full-share gain in April. Prior to the “Holiday” 2016 sweep, it occupied the top spot for four straight months. A +.8 in January ended four successive down or flat sweeps that produced a -1.6 (9.8 – 9.8 – 9.6 – 8.8 – 8.2, 6+) as WGRR progressed from second to first. When WLW reached #1 in May, it was the first time there for the Cincinnati Reds flagship since last August, although it backed into the top spot as it was down three-tenths (9.3 – 9.0, 6+). In April, WLW answered a combined -1.2 in February and March (8.4 – 8.1 – 7.2, 6+) with a +2.1 to 9.3, its finest 6+-showing since last June’s 10.8. Conversely, March’s 7.2 was the lowest 6+-stat in its PPM-history. Down by seven-tenths each are Hubbard hot AC WKRQ “Q-102 Cincinnati’s Hit Music” (6.8 – 6.1, flat at #4, 6+); Cumulus Media classic rocker WOFX “The Fox” (6.0 – 5.3, fifth to sixth, 6+); and iHeartMedia CHR WKFS “Kiss 107 – Cincinnati’s #1 Hit Music Station” (4.6 – 3.9, #7 to #11, 6+). Prior to logging a +.5 in May, the three most recent trends for “Q-102” were 6.3 – 6.4 – 6.3 – 6.3 (6+). A gain of eight-tenths in May took “The Fox” to 6.0, its finest 6+-showing since November 2015 (6.0, as well). In back-to-back sweeps, “Kiss” had gained eight-tenths (3.8 – 4.1 – 4.6, March-April-May, 6+). Off for the third straight time for a -1.1 (3.9 – 3.6 – 3.4 – 2.9 – 2.8, 6+), Radio One urban-rhythmic oldies WOSL “100.3 R&B + Old School” drops from #13 to #14. 9) Orlando – There is considerable activity among the top five June 2017 finishers, including iHeartMedia adult contemporary WMGF “Magic 107.7” racking up a +.9 (6.9 – 7.8, 6+) to climb from fourth to third. Although displaying modest (6+) moves in March (+.2); April (-.4); and May (+.1), “Magic” has been accustomed to recording big swings. Such examples include +.5 (October 2015); -1.0 (November 2015); +1.6 (December 2015); +5.2 (“Holiday” 2015); -4.7 (January 2016); -1.2 (February); +1.3 (March); +.7 (April); +.6 (May); -.8 (June); -1.1 (July); +.7 (September); -.5 (October) +.9 (November); +2.1 (December); +5.6 (“Holiday” 2016); -7.6 (January 2017); -1.5 (February 2017); and now a +.9 in June 2017. Co-owned WJRR shows a (6+) December 2016 – March 2017 line of 3.9 – 3.7 – 3.7 – 3.9 – 3.7, but “Orlando’s Rock Station” follows with three straight increases accounting for a +1.8 (3.7 – 4.2 – 4.7 – 5.5, 6+) to move from eighth to seventh. The last time WJRR reached the five-share level (6+) was September 2016 (5.1). Bouncing back from May’s -.9 with a +.6, Cox Media Group urban AC WCFB “Star 94.5” returns to the top five (6.4 – 5.5 – 6.1, sixth to fifth, 6+). Conversely, its (Spanish contemporary) HD2 channel – returns the one-half share it gained in May (1.2 – 1.7 -1.2, #17 to #18, 6+). Not only is iHeartMedia’s Spanish tropical WRUM #1 for the sixth consecutive month, “Rumba 100.3” erases one-half share of May’s -.6 (12.2 – 12.7, +.5, 6+). The 12.8 it registered in April was the best-ever 6+-share in its PPM-history. Prior to January, “Rumba” was on top in October, November, and December. Off by seven-tenths each are CHR sibling WXXL “XL-106.7” (unchanged at #2); Cox Media Group’s WMMO “98.9 – Orlando’s Classic Hits” (7.5, third to fourth, 6+); and CBS Radio-owned WOMX “Mix 105.1” (4.7, seventh to eighth, 6+). A collective +2.7 via four consecutive progressive trends (7.2 – 8.0 – 9.0 – 9.7 – 9.9, 6+), “XL-106.7” is now -1.8 in May and June (9.9 – 8.8 – 8.1, 6+); April’s 9.9 was its strongest 6+-share since September’s 10.4. As for WMMO, the -.7 stymies three successive increases that generated a +1.6 (6.6 – 6.8 – 7.0 – 8.2, 6+). This represents the fourth straight down or flat sweep for “Mix” for a -1.4 (6.1 – 6.1 – 5.5 – 5.4 – 4.7, 6+). Owing to four consecutive decreases (3.6 – 3.3 – 2.9 – 2.2 – 2.0, 6+), iHeartMedia FM news/talk WTKS (flat at #15) is a collective -1.6. Steady at #13, Community Communications’ similarly-programmed WMFE is within 2.0 – 2.9 range for the 33rd straight time, (2.5 – 2.7, +.2, 6+). Right behind it at #14 is Entravision-owned Spanish tropical WNUE, which drops two-tenths to 2.3 (6+), thus ending at six its successive string of increases that netted seven-tenths (1.8 – 1.9 – 2.0 – 2.1 – 2.2 – 2.3 – 2.5, 6+). 10) Cleveland – Nine-tenths of a share separates this Ohio market’s top four June 2017 finishers. Up or flat for the sixth successive sweep (5.4 – 5.9 – 6.1 – 6.1 – 7.0 – 7.0 – 7.3, 6+), iHeartMedia news/talk WTAM improves by nearly two full-shares in that timeframe; the Cleveland Indians’ flagship progresses from sixth to fifth. Trending 4.6 – 4.4 – 4.2 – 4.5 (February through May, 6+), CHR sibling WAKS “96.5 Kiss FM – Cleveland’s #1 Hit Music Station” dials up a +1.0 to 5.5, its strongest 6+-share since December’s 5.9, and enters the top ten (#11 to #10). A combined +1.1 via three straight increases (5.3 – 5.4 – 5.8 – 6.4, 6+), Radio One urban contemporary WENZ “Z-107.9” advances from eighth to seventh. After “backing into” the top spot in May with a -.2, CBS Radio-owned WNCX “98.5 Cleveland’s Classic Rock” logs a one-half share gain (7.9 – 8.4, 6+) and repeats at #1. This is the second time in the last three sweeps that WNCX has reached the eight-share level (6+) – it was 8.1 in April (6+). Locked at #12 in each of the last 17 sweeps, co-owned WKRK erodes by -1.2 (3.9 – 2.7, 6+) and falls to #13. Moreover, “Sports Radio 92.3 The Fan” has its lowest 6+-share since last August (2.7 as well). Taking its place at #12 is Ideastream’s WCPN – which ironically was at #13 the past 14 sweeps; it advances despite losing two-tenths to 2.9 (6+). Before a -.2 in February, WCPN was without a decrease for eight consecutive ratings periods netting a combined +1.8 (2.0 – 2.0 – 2.0 – 2.1 – 2.2 – 2.2 – 2.7 – 2.7 – 3.8, 6+). Off by more than one full-share in back-to-back declines (6.2 – 5.8 – 5.1, 6+), iHeartMedia-owned WMMS “100.7 – Cleveland’s Rock Station” exits the top ten (#8 to #11). 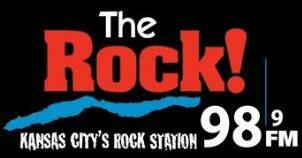 11) Kansas City – Steady at #8, Entercom-owned KQRC “98.8 Kansas City’s Rock Station” is up or flat for the sixth straight time for a +1.1 (3.4 – 3.8 – 4.3 – 4.3 – 4.4 – 4.5 – 4.5, 6+), while co-owned hot AC KZPT “99.7 The Point” (fifth to sixth) is without a loss for the third time in a row for a gain of four-tenths (4.8 – 4.8 – 5.0 – 5.2, 6+). Within 7.3 – 7.8 range (6+) since January, Cumulus Media classic hits-oldies KCMO-FM displays an impressive +1.5 (7.4 – 8.9, 6+) and carries on at #2. It is the strongest 6+-stat for “94.9 – Kansas City’s Greatest Hits” since the “Holiday” 2016 report (10.8). One-half share ahead of KCMO-FM – and #1 for the sixth consecutive time – is classic rock cluster-mate KCFX “The Fox,” which posts its third straight increase for a cumulative +1.9 (7.5 – 8.5 – 8.7 – 9.4, 6+). “The Fox” bounced back from a -.8 in March with a full-share gain in April. Before its +1.0 in April, KCFX registered three consecutive declines accounting for a -1.5 (9.0 – 8.5 – 8.3 – 7.5, 6+). On top from May through September and then in December, it had five straight uptrends prior to January’s -.5 for a cumulative +1.8 (7.2 – 7.3 – 7.6 – 7.7 – 8.9 – 9.0, 6+). Still in that Cumulus Media cluster, KCJK “X-105.1 Kansas City’s Alternative” (#18 to #17) is up or flat for the fifth straight time for a +.6 (1.9 – 2.3 – 2.5 – 2.5 – 2.5 – 2.5, 6+), while urban AC KMJK “Magic 107.3 Kansas City’s Best Mix of R&B” (unchanged at #7) is without a loss for the third consecutive sweep and is up nine-tenths in that stretch (3.8 – 3.9 – 4.7 – 4.7, 6+). Following four straight improvements for a cumulative +1.9 (3.8 – 4.2 – 4.6 – 5.2 – 5.7, 6+), Steel City Media CHR KMXV “Mix 93.3 – Kansas City’s #1 Hit Music Station” faltered by seven-tenths in May but answers with a +.8 (5.0 – 5.8, 6+), climbing from fifth to fourth. Meanwhile, Cumulus Media’s similarly-programmed KCHZ, bounces back from a loss of one-half share in May with a +.8 as well (3.3 – 4.1, 6+), with “95-7 The Vibe – All the Hits” cracking the top ten (#14 to #10). Prior to May’s -.5, “The Vibe” had been without a loss in each of the past six survey periods netting a +1.2 (2.6 – 2.8 – 3.1 – 3.4 – 3.5 – 3.7 – 3.8, 6+). Thus, after eroding by -1.2 in May, the market’s (6+) CHR share improves by +1.6, equally divided between “Mix” and “The Vibe.” As far as the three-way country scrum is concerned, Steel City Media’s KBEQ “Q-104 – #1 For New Country,” which in May forfeited half of the six-tenths it gained in April (4.1 – 4.7 – 4.4, 6+), sputters by an additional nine-tenths (3.5, 6+) to spiral from #10 to #14. 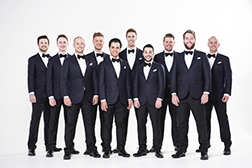 A combined +.9 in April and May (3.6 – 4.0 – 4.5, 6+), Entercom’s WDAF-FM “106.5 The Wolf” returns seven-tenths in June (3.8, 6+) and departs the top ten (#8 to #11). On the format’s plus side though, Steel City Media’s KFKF “Country 94.1” notches consecutive (modest) increases (5.6 – 5.7 – 5.9, 6+) and remains at #3. As the result of three consecutive gains before April’s -.1, “Country 94.1” was a collective +2.1 (3.6 – 4.1 – 5.3 – 5.7, 6+). It entered the December 2016 sweep with four up or flat trends in succession that accounted for a +1.1 (3.8 – 3.8 – 4.2 – 4.7 – 4.9, 6+), but was a combined -1.3 in December and “Holiday” 2016 (4.9 – 4.3 – 3.6, 6+). Without an increase for the fifth successive time, University of Missouri-owned news/talk KCUR is -1.7 (3.9 – 3.9 – 3.7 – 3.1 – 3.0 – 2.2, 6+) and drifts from #15 to #18. Although down by -.5 (4.3 – 3.8, 6+) and below a four-share (6+) for the first time since last October’s 3.9, Entercom’s similarly-programmed KMBZ-FM actually improves from #12 to a tie at #11. Also in the spoken-word arena, Union Broadcasting’s WHB “Sports Radio 810” falters for the third straight time for a combined loss of more than two full-shares (3.6 – 2.5 – 2.1 – 1.5, 6+), but remains at #20; Entercom’s KCSP “610 Sports Radio” bumps up from #17 to #15 with its third consecutive up or flat trend more than doubling its 6+-share (1.2 – 2.7 – 2.7 – 3.1, 6+). 12) Columbus – Not only does it boast the largest (6+) May 2017 – June 2017 improvement (+1.8) by any other station in the 36 PPM-markets whose data has been released since last Wednesday, iHeartMedia mainstream CHR WNCI is a whopping +2.8 via three successive upticks (8.9 – 9.4 – 9.9 – 11.7, 6+). Furthermore, “97.9 Columbus’ Hit Music” repeats at #1 and is in double-digits (6+) for the first time since September’s 11.1. With a combined improvement of two full-shares over the January and February sweeps (7.8 – 9.1 – 9.8, 6+), WNCI advanced from second to first in February. Prior to January, however, “97.9 Columbus’ Hit Music” outlet was down or flat in each of the previous six surveys for a collective -4.4 (12.2 – 12.1 -11.1 – 9.8 – 9.4 – 9.4 – 7.8, 6+). It has a 1.1-share (6+) advantage over co-owned country facility WCOL, which dusts itself off from May’s -1.3 with a +1.4 to remain at #2. WCOL was +2.2 in January; -1.2 in February; +.8 in March; -1.3 in May; and now +1.4 in June (10.5 – 9.3 – 10.1 – 10.5 – 9.2 – 10.6, 6+). In another stunning one-month market turnaround, Saga Communications’ WLVQ “Q-96 Iconic Rock” (fifth back to third) answers May’s -1.2 with a +1.1 (7.3 – 6.1 – 7.2, 6+); 6.1 was its lowest 6+-share since last October’s 5.5. In addition to the three aforementioned Columbus outlets improving by at least one full-share (May 2017 – June 2017, 6+), two stations there erode by -1.5 each. Not only does Radiohio-owned WBNS-FM “Sports Radio 97.1 The Fan” end its (6+) February through May sequence of 3.9 – 4.2 – 3.9 – 4.1 by plummeting to 2.6 (-1.5, 6+), it exits the top ten (#7 to #11). It is a similar fate for One Connection Media Group contemporary Christian WCVO (#9 to #13), whose -1.5 (3.9 – 2.4 6+) drops “104.9 The River – Uplifting & Encouraging” to its softest 6+-share since last December’s 2.0. After back-to-back upticks (6.1 – 6.6 – 6.7, 6+), Saga Communications adult contemporary WSNY “Sunny” (third to fifth) stumbles by seven-tenths to 6.0, its lowest 6+-share in just over two years (5.5, May 2015). Locked on 5.2 (6+) in April and May, iHeartMedia adult hits WODC “93.3 The Bus – We Play Anything” is off by one-half share to 4.7, but it remains at #6. Report: ESPN to Break Up ‘Mike & Mike.’ According to a report in SI.com by Richard Deitsch – and picked up by numerous other news outlets – ESPN is moving ahead with plans to move Mike Greenberg from the ESPN Radio morning show he’s co-hosted with Mike Golic since 1998 and place him at the helm of the new morning show on cable TV’s ESPN. If true, what the sports giant does with the longtime – and reportedly revenue-producing – morning show includes a couple of options. Deitsch’s piece speculates that the odds-on candidate to move to mornings is current ESPN personality Trey Wingo. He could partner with Golic or – if Golic is not retained – head up a new morning show. Golic’s son, Mike Golic Jr., is a staffer with ESPN and it’s being reported that Golic Jr. could join a re-tooled version of the morning program. Deitsch reports that it’s not known when these moves will happen but his sources say the changes will happen sooner rather than later. Read the SI.com piece here. WYM Media to Syndicate Devil’s Advocates Radio. 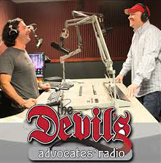 The Devil’s Advocates Radio Show – co-hosted by Dominic Salvia and Mike Crute formerly aired on iHeartRadio’s progressive talk WXXM, Madison “Mic 92.1” prior to the station’s format flip late last year. Now, the issues talk show is going into national syndication via WYM Media with distribution by Westwood One. WYM says the show is launching on 16 affiliates in the Northeastern, Midwest, West, and Southwestern, as well as on the Armed Forces Radio Network. 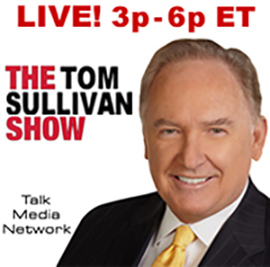 It airs live from 4:00 pm to 6:00 pm ET. WYM adds, “The Devil’s will take their show back on the road, broadcasting events and protests from Donald Trump’s Inauguration week in Washington D.C. January 18-20. Additionally, the Devil’s will provide an anchored livestream from the Women’s March on Washington, on Saturday January 21.” The Devil’s Advocates is an independent production of DC Communication, LLC, based in Wisconsin. Ryan Wrecker Exits WOWO, Fort Wayne. Fort Wayne’s Federated Media makes changes in the management structure at heritage news/talk WOWO and program director Ryan Wrecker exits after more than four years at the programming helm. During his time at WOWO, Wrecker was instrumental in creating the station’s podcast platform. WOWO won a Marconi Award from the National Association of Broadcasters in 2014. Trump Press Conference Top News/Talk Story for Week of January 9-13, 2017. President-Elect Donald Trump’s first press conference after winning the November election was the most-talked-about story on news/talk radio this week, landing atop the Talkers TenTM. At #2 was the allegations of Russia’s hacking the DNC emails tied with the Trump ‘dossier’ purported to detail his bizarre sexual behavior while visiting Moscow. Coming in at #3 was the Trump cabinet nominee hearings, followed by the Justice Department’s announcement it would investigate its own and the FBI’s handling of the Hillary Clinton email server matter at #4. 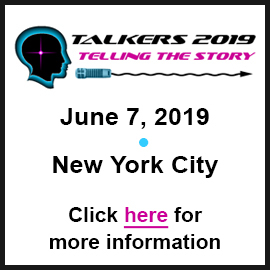 The Talkers TenTM is a weekly chart of the top stories and people discussed on news/talk radio during the week and is the result of ongoing research from TALKERS magazine. It is published every Friday at Talkers.com. View this week’s entire chart here. WNDB, Daytona Beach’s Marc Bernier Hosts FOX News’ Brett Baier at Embry-Riddle. 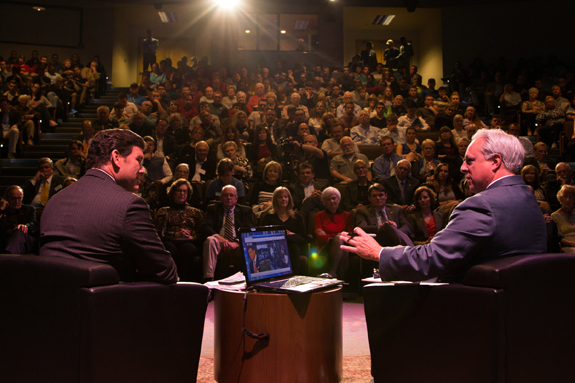 Pictured above are FOX News Channel personality Brett Baier (left) and WNDB, Daytona Beach talk show host Marc Bernier (right) at the more recent installment of the Embry-Riddle Aeronautical University Speaker Series. Bernier serves as the director for the series. 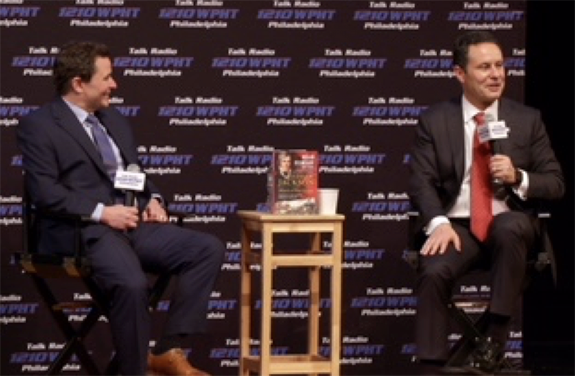 At the event, Baier conducted his nightly “Fox Report” from the school’s campus before sitting down for a town hall-style interview with Bernier. 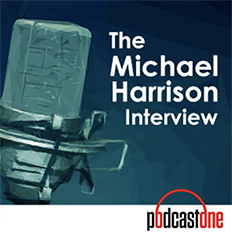 Michael Harrison and Sid Rosenberg Talk About Sports, News/Talk, Radio, Personal Demons, Redemption and Life. In a powerfully candid conversation, WABC, New York mid-morning co-host Sid Rosenberg is this week’s guest on the award-winning PodcastOne series, “Up Close and Far Out with Michael Harrison.” For the past year, Rosenberg has been successfully co-hosting the station’s 10:00 am to 12:00 noon program with his old friend, Don Imus show executive producer, Bernard McGuirk. The daily news/talk program, “The Bernie and Sid Show,” has done so well in attracting an audience and creating positive buzz in its first 11 months that WABC has just expanded it by an hour to a 9:00 am start. 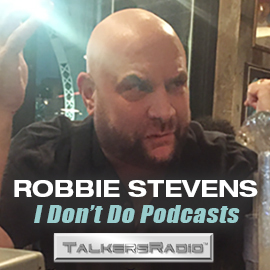 Rosenberg came up through the ranks of NYC and South Florida sports talk radio, recently making the transition to news/talk – although he still serves as a sports commentator on the Imus show that precedes the mid-morning program. 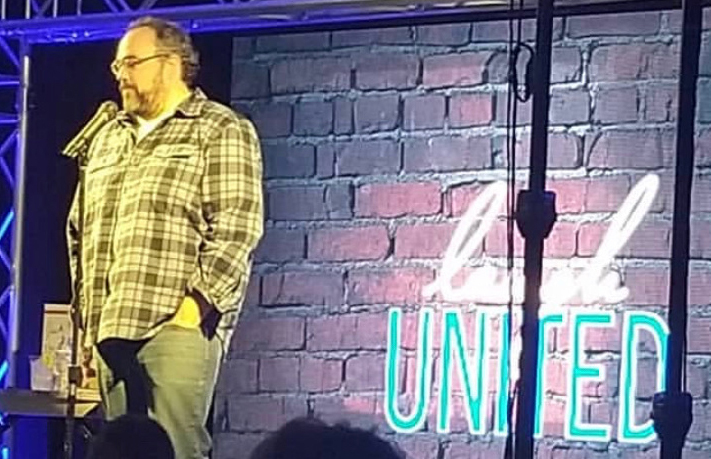 Rosenberg has a colorful track record of landing big jobs based on his sheer talent and enthusiasm…and then losing them due to highly-publicized issues he’s faced battling personal demons. 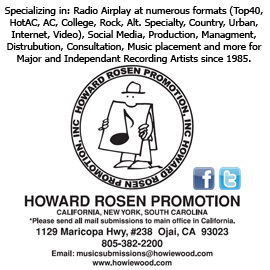 It seems that Rosenberg has gained control over these problems and as Harrison puts it, “is on a healthy track to redemption and success.” Harrison continues, “Sid Rosenberg is one of the most authentic, vibrant and ‘human’ radio personalities on the air today. He exudes infectious energy and captures the very essence of being a New Yorker – thus contributing greatly to WABC’s local flavor. 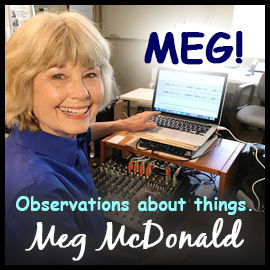 What a great radio story! 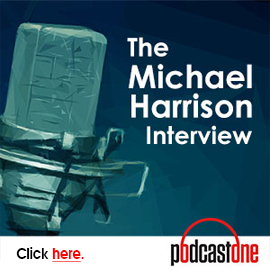 I’m rooting for him to stay on his present path and go all the way.” To listen to the entire podcast in its entirety, please click here or click the “Up Close and Far Out” player box located in the right-hand column on every page of Talkers.com. Legendary Louisville Talk Host Milton Metz Dies at 95. The Louisville Courier-Journal writes in its obituary for Milton Metz that, according to former WHAS colleague Wayne Perkey, Metz was “a role model and father figure for a younger generation of broadcasters” that included himself, Terry Meiners, and Jack Fox. Metz began his lengthy career on WHAS in 1959 and the “Juniper 5-2385” show (named after the phone number) ran until 1993. His son, Perry Metz, is quoted saying, “If civility is old-fashioned, you could say he was old-fashioned.” Read the Courier-Journal obit here. Odds & Sods. In the Hickory, North Carolina market, Long Communications adds an FM translator to the signal of news/talk WHKY. 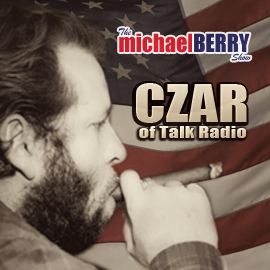 The station’s programming is now also heard on W272DU at 102.3 FM…..SiriusXM is announcing that in the lead-up to next month’s Conservative Political Action Conference in National Harbor, Maryland, it will broadcast a special series titled, “The Road to CPAC 2017” with hosts Matt Schlapp, chairman of the American Conservative Union, and his wife Mercedes Schlapp, columnist and FOX News contributor on its Patriot Channel. The inaugural show will feature the Schlapps in conversation with Steve Bannon, senior counselor to President-elect Trump and former host of “Breitbart News Daily” on SiriusXM. Cool SoCal Talk Gig. This position is in Los Angeles. Conservative SoCal fast growing blowtorch KRLA and KTIE are looking for ‘Morning Answer’ replacement for exiting Ben Shapiro. Must be a conservative for this particular slot on the morning show. Knowledge of politics/news/events required. Talk radio experience preferred but not required. Must be able to peacefully co-exist with other ‘Morning Answer’ show members. If you’re not interested in being part of a team environment, please look elsewhere. The “Morning Answer” focuses on today’s highest interest news and events, and the hosts opinions and commentary. It’s a fast-paced and generally upbeat take on mornings in Los Angeles. 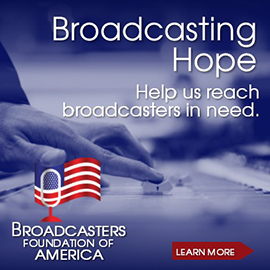 Now’s a great time for conservative radio…help us ride the wave and reflect the sentiment that ushered in unprecedented political change. Materials to: chuck.tyler@salemla.com. EOE. Ed Sheeran Visits with CBS RADIO New York. 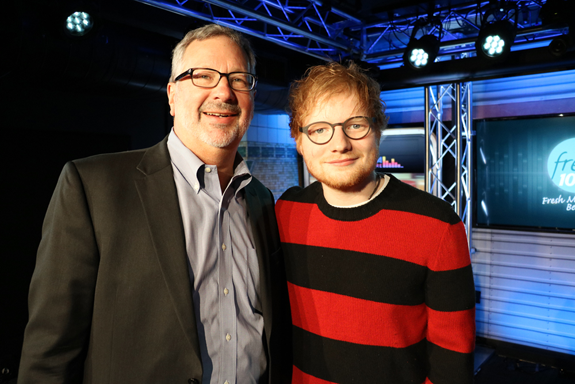 Pictured above with artist Ed Sheeran (right) is CBS RADIO SVP of programming Jim Ryan (left). Sheeran appeared at CBS RADIO New York’s Adorama Live Theatre to chat WNEW-FM and WBMP-FM hosts about his new album, Divide. Sheeran spoke with “Fresh 102.7” morning show hosts Jeffrey Jameson and Karen Carson and “92.3 AMP Radio” personalities Shoboy and Nina. Photo: CBS RADIO New York.